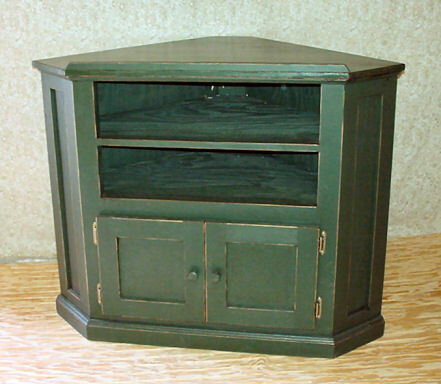 This Customer brought us a picture of a TV Stand out of a magazine and said "I want this, but I want two openings, one for my VCR and one for my DVD, and I want it Green Distressed." Well, here it is. It fits nicely into a corner and gives plenty of storage below. You know what you want. Make a drawing with your dimensions and..